February’s analysis focused on a triangle, an exact, potent, powerfully placed influence, acting on the individual and community levels. It transformed personal and community values and then gave these values transformative force. As members of a community, we were powerfully motivated to rethink our values and their effects in the community and then to project our new, more idealistic expectations into our community and out into the wider world. In the US, on February 10th, the NAACP kicked off Moral Mondays for 2014 in Raleigh, NC. It was joined by reform groups from around the country. Moral Monday protests were established to protest the extreme right wing agenda being advanced by North Carolina’s GOP dominated government. With 80-100,000 people present, it was the largest such gathering since the civil rights movement of the 1960s. Created to protest the extreme right wing agenda being advanced by NC’s GOP government. There was a general, broad-based outcry against a blatantly discriminatory, anti-gay bill awaiting the signature of Governor of Arizona, which she vetoed. Prolonged and violent confrontation between the grassroots and the government in the Ukraine, Venezuela and Thailand gave more intense, violent expression of this energy. 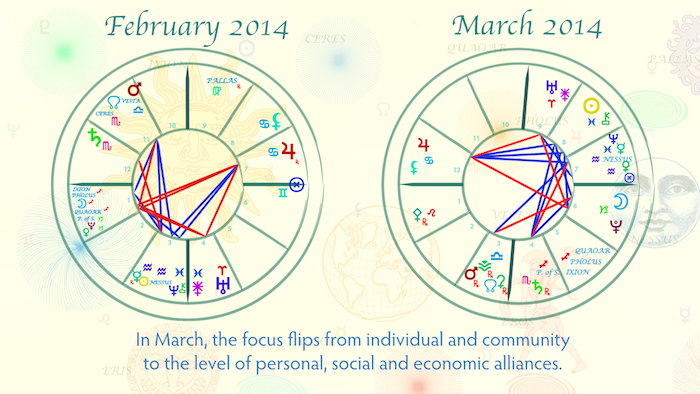 March’s chart is a reflection of February’s in important respects. It is also especially intense; for the third month in a row, three Moons occur within 30 days. 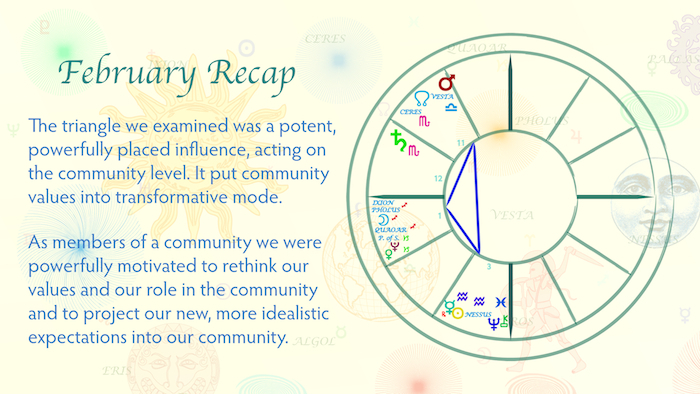 In February, the focus of the transformative energies was on the individual acting as a member of the community. In March, the focus of transformative energies is the patterns that govern our relationships, at home, in the community, at work and in just about every area of our lives. We live in an ocean of mental and emotional patterns, stereotypes, biases, habits and fixed attitudes, and so on. These are created by our minds and shape our culture. Culture, in turn shapes our personal, professional, political and economic relationships. In March, these mental and emotional patterns are in rapid flux and so are the patterns in society. The Moon governs the structure and continuity of our personality; it integrates present and past experiences and coordinates conscious and unconscious thought processes. With three Moons in a short space of time for the third month in a row, our psyches will, again, work unusually hard to sustain the processes that maintain our personality. Our personalities will, again, evolve at an even faster rate. Many of us will continue to feel the strain, succumbing to periods of disorientation and confusion. We might have to step in consciously to keep normally unconscious, smooth-running cognitive processes on track. We might, for example, have to consciously choose between competing, conflicting responses to events, each derived from a different points in our psychological development or drawn from conflicts and contradictions in our attitudes. 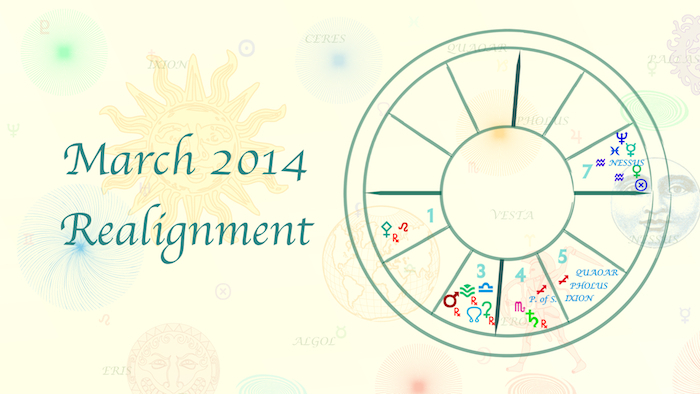 This month’s analysis focuses on several placements that complement the Moon’s transformative work. Each acts in its own way to disrupt and transform existing patterns of thought and behavior. Pallas is retrograding in Leo in the 1st house. Pallas governs the perception, creation, maintenance and destruction of patterns. While retrograde, Pallas loosens the grip and eases the pressure exerted by existing patterns. It also makes them easier to transform or destroy. 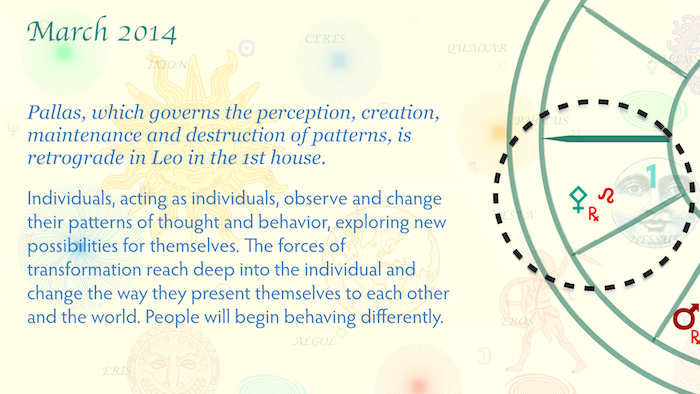 Pallas is in the playful and demonstrative sign of Leo in the 1st: individuals see and change their own patterns and patterns in the world around them. Under Leo’s influence, we will do this publicly, in very visible ways. 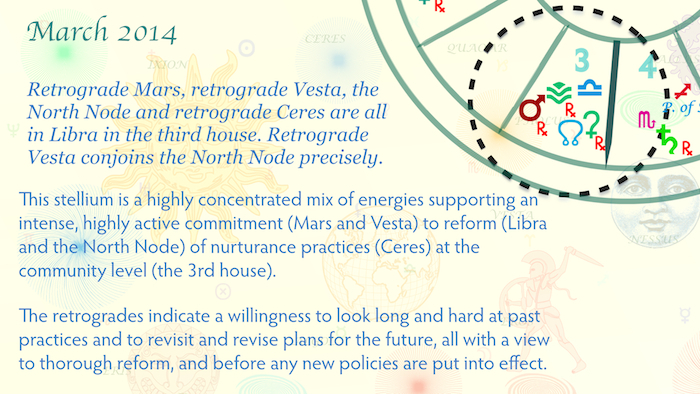 Retrograde Mars, retrograde Vesta, the North Node and retrograde Ceres are all in Libra in the 3rd house. Retrograde Vesta conjoins the North Node precisely. This mixture of influences supports an intense, proactive commitment (Mars and Vesta) to reform (Libra and the North Node) of nurturance practices (Ceres) at the community level (the 3rd house). The retrograde motion brings a long, hard look at past practices and at plans still on the drawing board. We experience a driving need to make our community a more just, loving, nurturing place. Saturn is retrograde in Scorpio in the 4th house. The Arabic Lot of Accusation is in Sagittarius in the 4th. We are motivated to take a sober look at our attitudes and let go of those that are hurting ourselves or others. Feelings of guilt about the harm our attitudes might have caused in the past rise to the surface. 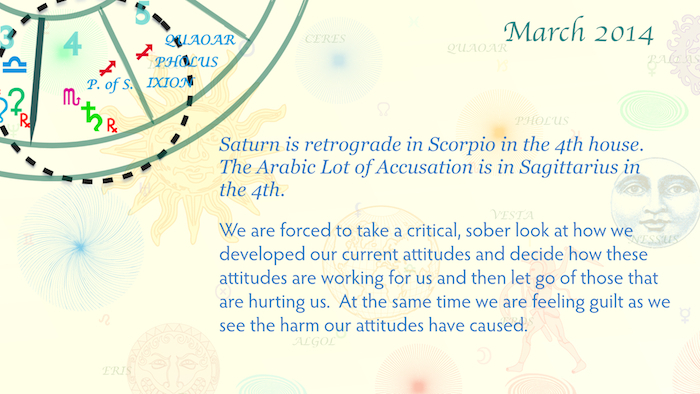 Saturn retrograde in Scorpio in the 4th house is alongside the Arabic Lot of Accusation. The fourth house governs the deeper levels of our personality. This influence motivates and empowers us to clear out our psychological and attic, or basement. 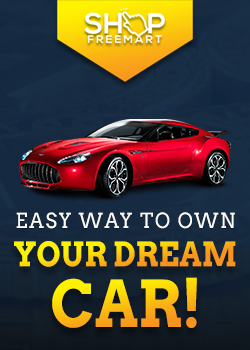 We change the rules we live by, making ourselves more responsive and responsible. 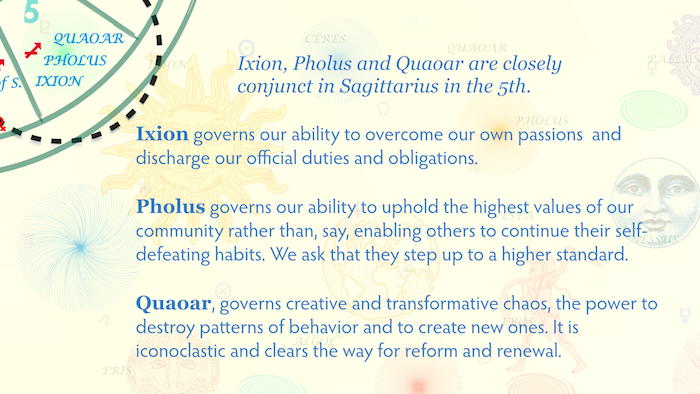 Ixion, Pholus and Quaoar are closely conjunct in Sagittarius in the 5th. Each of these bodies governs some aspect of the processes that govern social behavior. They are all trine Pallas in the sign of Leo in the 1st house. Ixion governs our ability to overcome our own passions so that we can fairly carry out our social duties and obligations. Ixion is often associated with gross misbehavior in high places. Pholus rules our ability to uphold the highest values of our community in the face of pressure to to do otherwise. It is frequently associated with cronyism, corruption, codependency and enabling. Quaoar, governs transformational chaos, our willingness to modify or destroy old patterns and create new ones. It is also associated with stagnation and rigidity, the refusal to change outdated patterns. In combination with Pallas in Leo in the 1st house, this influence empowers and motivates us to actively explore new and better ways of governing ourselves. We are preparing ourselves to change the rules that govern society. We are already trying out new things in our day-to-day interactions with family, friends, neighbors, coworkers and public officials. The Part of Fortune is precisely conjunct the descendant and also conjunct Venus in Aquarius in the 7th house. Venus is strongly placed near the Descendant in its own house. This influence brings us recognition and friendship for creating relationships that support tolerance and inclusiveness. 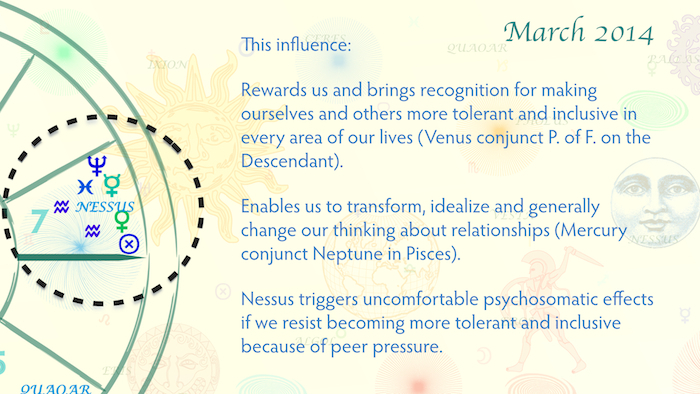 Nessus in Aquarius and Mercury and Neptune in Pisces are loosely conjunct in the 7th house. This grouping lets us transform, or idealize, our thinking about relationships (Mercury conjunct Neptune in Pisces). Meanwhile, Nessus could trigger physical and emotional discomfort if we let ourselves be pressured into intolerance and exclusiveness. Mercury conjoins Neptune in Pisces in the 7th house near the cusp of the 8th house. Hence, this particular transformative influence not only affects relationships, but the distribution of wealth and power, also. This 7th house stellium, like those already discussed, also foretells deep changes in the patterns that shape our lives. This phase of transformations and, thus, decision-making will be closed out in April. In April there are two eclipses and a Grand Cross in Cardinal signs combined with a Kite. On April 15, there is a total eclipse of the Full Moon in Libra. 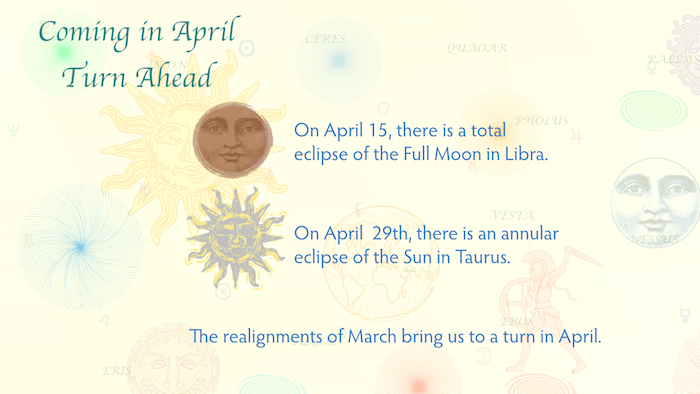 On April 29th, there is an annular eclipse of the Sun in Taurus. Mars, Jupiter, Pluto and Uranus form a Grand Cross in cardinal signs. It will be in force pretty much all month. The Grand Cross is imbedded in a Kite that will also be in force for much of April. I will discuss these aspects in greater detail next month. Suffice it to say, that eclipses are cut-off points. Old options are taken off the table. New options are adopted. A Grand Cross in cardinal signs will require hard, irreversible choices about how to move forward. But the Kite will insure that these decisions will be made carefully and with much thought and discussion. Kites do not allow snap decisions. So April will bring irreversible changes and hard but carefully made choices. The combination of Grand Cross and Kite make it unlikely that conflicts will have a catastrophic outcome.